Patch panel, an indispensable cable managing device, has been divided into wall mount patch panel and rack mount patch panel for different applications. 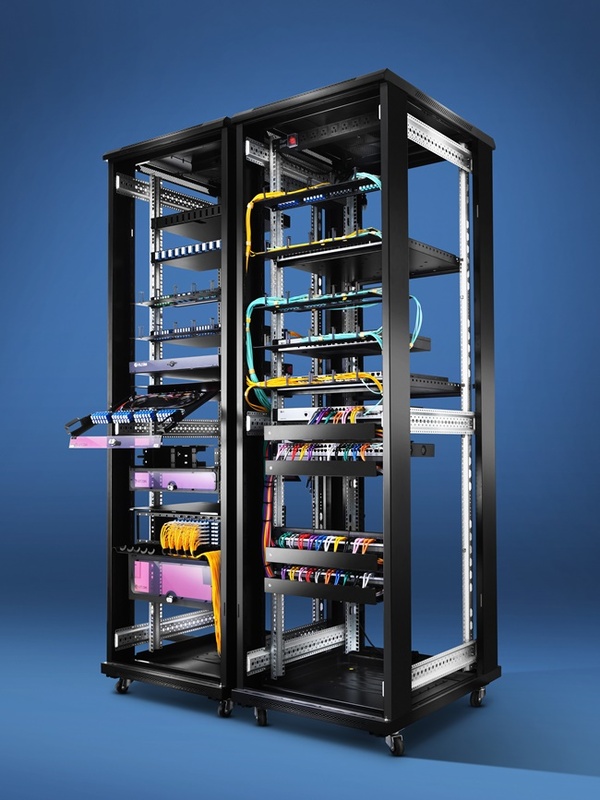 In the previous article, we have explored the rack mount patch panel. Therefore, in this time we will continue to explore the other branch of patch panel: wall mount patch panel. What Is Wall Mount Patch Panel? Similar with rack mount patch panel, the wall mount patch panel is also a mounted hardware assembly containing ports to connect and manage the incoming and outgoing fiber or copper cables. The different point is that as its name shows, the wall mount patch panel is a patch panel fixed on the wall instead of in a rack. 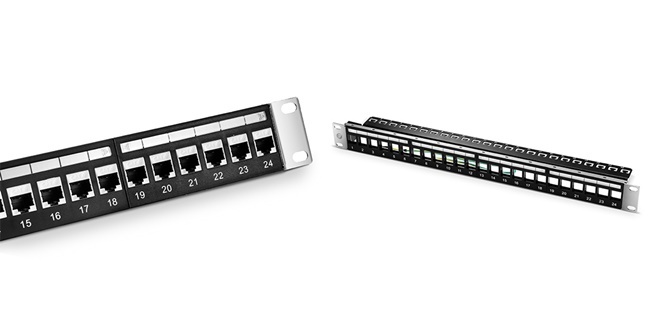 The patch panel in wall version is regarded as a perfect solution for networking and fiber distribution from the vault or wiring closet to the user’s terminal equipment. Conventionally, based on different application environment, the wall mount patch panel is divided into wall mount fiber patch panel and wall mount Ethernet patch panel. For a fiber patch panel in wall mount version, it consists of two parts: the fiber adapter panel and a fiber optic wall mount enclosure. The fiber wall mount enclosure usually collocates with two or four adapter panels. 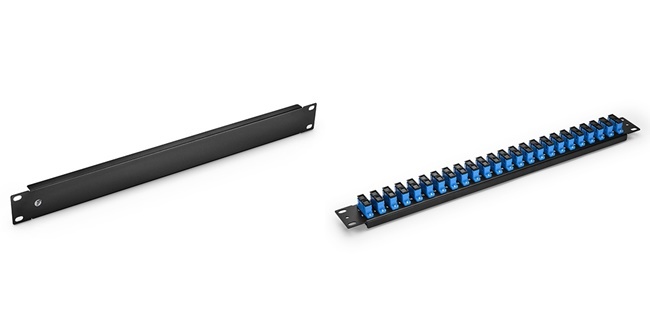 Featured with its flexible and compact design, the patch panel of this type offers a perfect choice for securing and protecting fiber connections in telecommunications closets or other installation areas where wall space is limited. When it comes to the wall mount Ethernet patch panel, it also involves in two units: an Ethernet path panel and a wall mount panel bracket. Sharing the same blood with the copper patch panel, the panel of this type is also used in a local area network(LAN) and supports both shielded and unshielded copper cables. In most applications, Cat5e wall mount patch panel and wall mount patch panel Cat6 version are the most favored types. Here, the size does not only refer to the height, depth, width, and weight of the patch panel, but also the space for the installation of a wall mount patch panel, especially the wall mount fiber patch panel. You need to consider the space for opening and removing the doors of the enclosure. The loaded panel means it’s pre-installed with fiber adapter panels or keystone jacks. 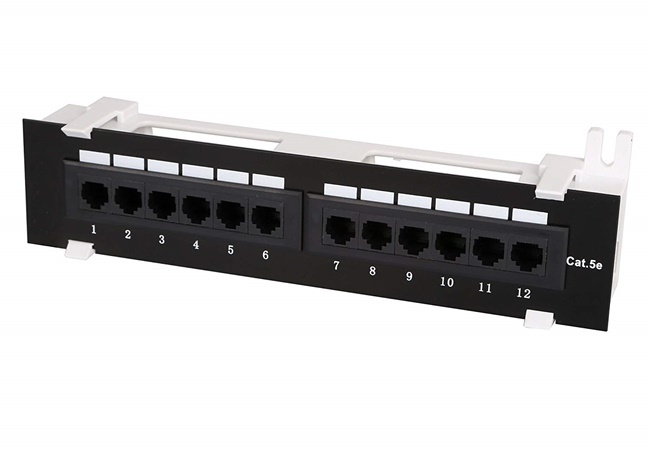 Take Cat5e patch panel as an example, it refers to the Ethernet patch panel inside the bracket has been pre-loaded with Cat5e jacks. While the unloaded type is an empty fiber panel or a wall mount keystone patch panel. With unloaded patch panels, users have to install required adapters or keystone jacks before installing the patch panel in the wall. 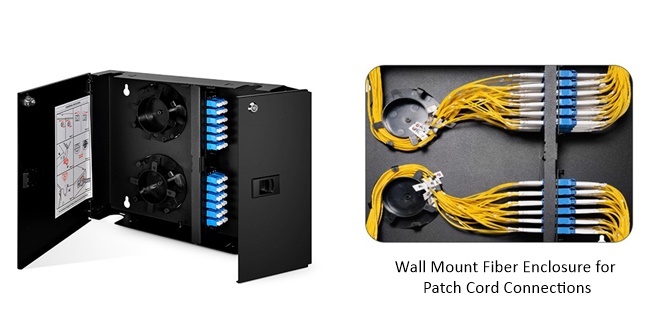 As a branch of cable management, the wall mount patch panel provides a good solution to optimize your work space by keeping equipment off floors and desks. In order to maximize the benefits of this device, please remember to have a full consideration of all aspects before you use it. This entry was posted in Cable Management and tagged ethernet patch panel, patch panel in wall, wall mount patch panel on September 27, 2018 by Camilla.Zhang.